It’s Big, It’s Tasty, but this time, it’s Chicken. 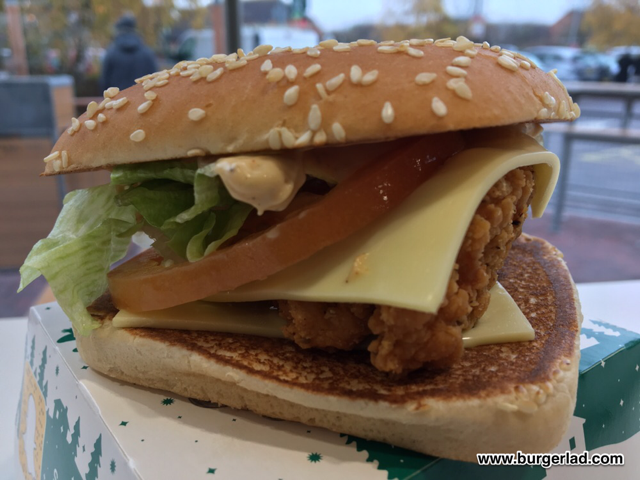 Two chicken selects, Big Tasty® sauce, slivered onions, square cut lettuce, a tomato slice, Emmental cheese in a square sesame topped bun. 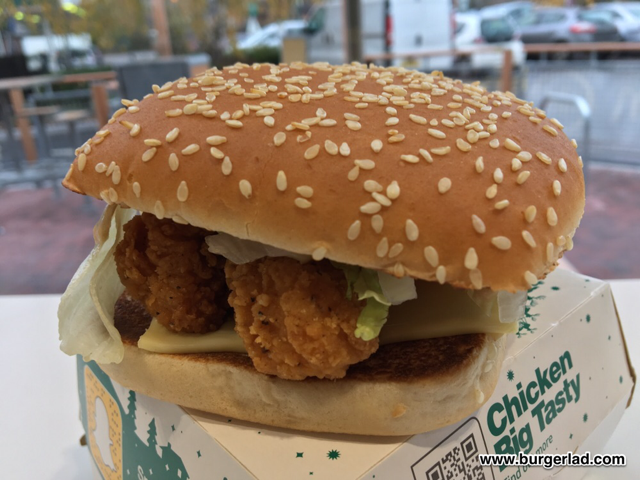 So… the Chicken Big Tasty makes its debut in the UK and “fans rejoice” and/or “seem particularly chuffed” about its release. This is the official word from the media, who started reporting on the Festive Menu from Tuesday. This is the same media who also “report” on customers sharing VERY underwhelming photos of their Millionaire’s Lattes. 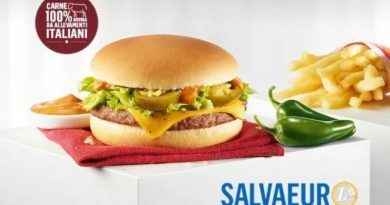 And don’t forget the ongoing sensationalism of “customer finds x in McDonald’s meal” (there’s literally a Grasshopper story today). 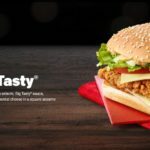 The smartest McDonald’s fans in the UK will of course, known weeks in advance what was scheduled to be on the not-so-festive menu this year… including the introduction of the new CBT. 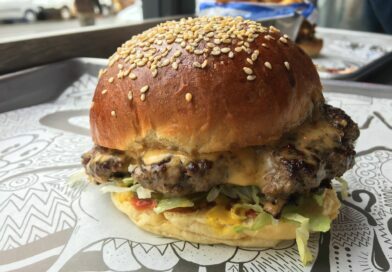 The standard Big Tasty (or Big Nasty in some quarters) is a fairly divisive burger – you’ve got the people who love it so much they crave for it to be brought back or call for it to be a permanent menu item. 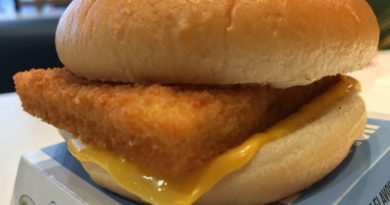 On the opposite side, McDonald’s fans who say it is on-sale too often and for too long – a lazy LTO from the Golden Arches. Expert journalism such as “it’s back but you’ll have to be quick” and/or “it’s only on the menu a few times a year” makes me chuckle. 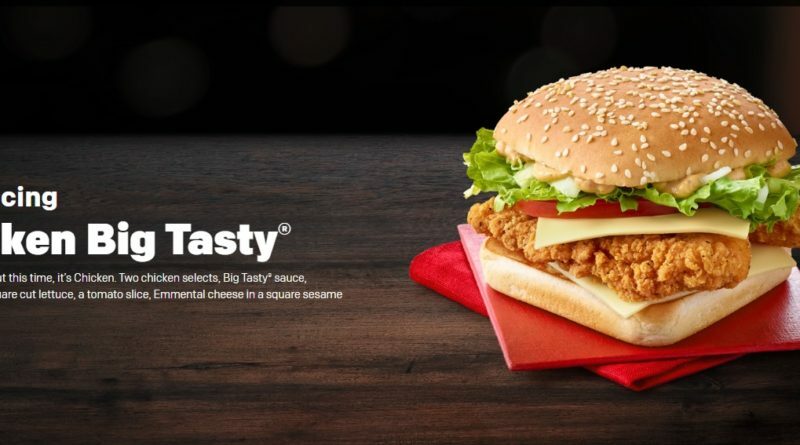 I would estimate that in 2018, the Big Tasty has been on the menu on four separate occasions totalling approximately 220 days – that is SEVEN MONTHS or 60% of the entire year. It’s also scheduled to be with us until the end of January. The burger/sandwich(?) 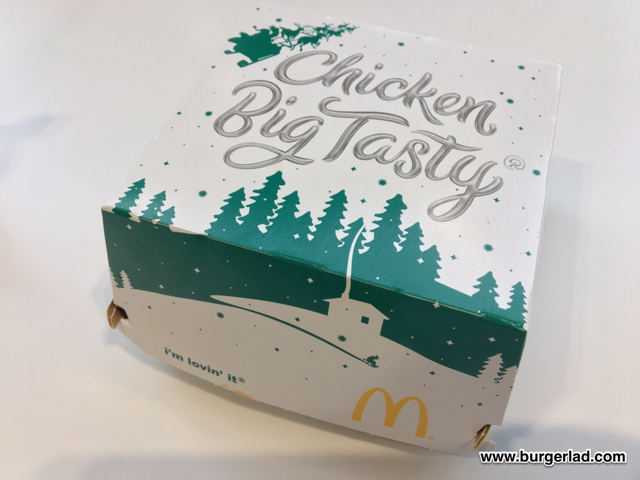 arrived in a fairly decent looking festive promotional box which is probably the best bit about the Chicken Big Tasty. As you can see from the pictures, it doesn’t look too badly presented when you delve inside – a quick scan reveals an accurate build but things soon started to go downhill quicker than a slalom from there. 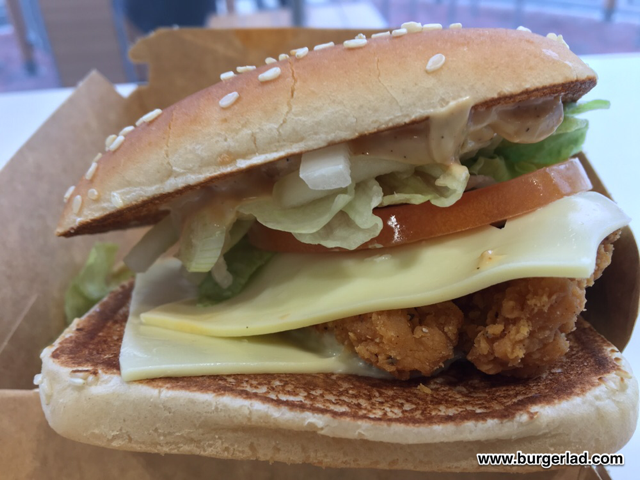 Firstly, the major criticism of this new burger is the inadequacy of the two Chicken Selects to fill the entire bun. 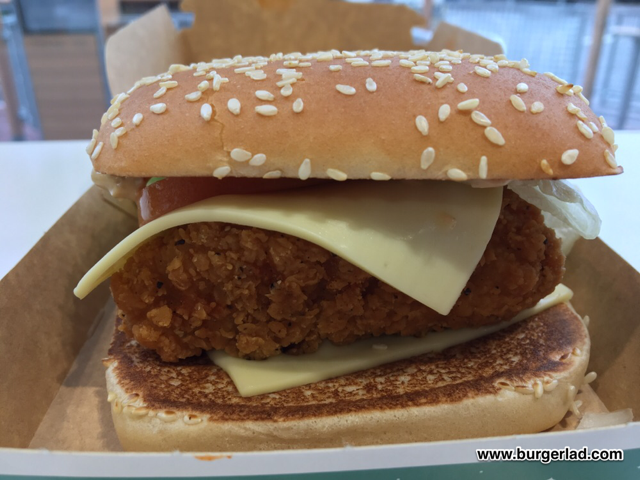 OK, McDonald’s have tried to solve this deficiency with a new square sesame topped bun but it just does not work. 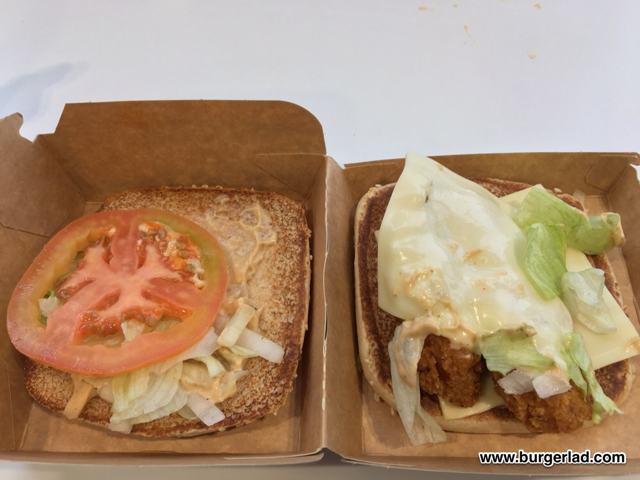 On my Chicken Big Tasty, I had the chicken at one end leaving nothing but bread, sauce and salad at the other – the whole thing suffers from being lopsided. Secondly, I rarely picked up any of the onion which is supposed to be on-board. 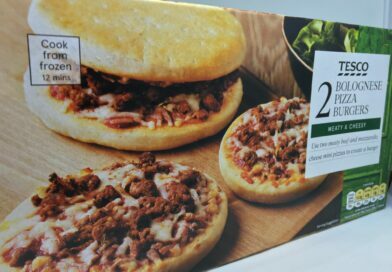 Unfortunately for me this lunchtime, the few slivered onions I had were still in the box. Again suggesting that using two Chicken Selects instead of say a Chicken Legend patty isn’t great for a burger. There was a distinct lack of onion. Long-term readers of BURGER LAD® should be aware of my (near) complete aversion to fresh tomato on burgers. And I can report back that bizarrely I ate the entire thing with the tomato slice on. Perhaps this says something about the taste/flavour of it that I could barely distinguish it. The failure of my taste buds to detect my Solanum lycopersicum friend could be attributed to the Big Tasty sauce. I’ve probably had about three… maybe four Big Tasty burgers ever so I’m not completely familiar with the sauce. Controversially, I found myself thinking it was better than when I had it previously with a more smoky taste than before. Shocking I know to all of you asking for the old sauce to return. 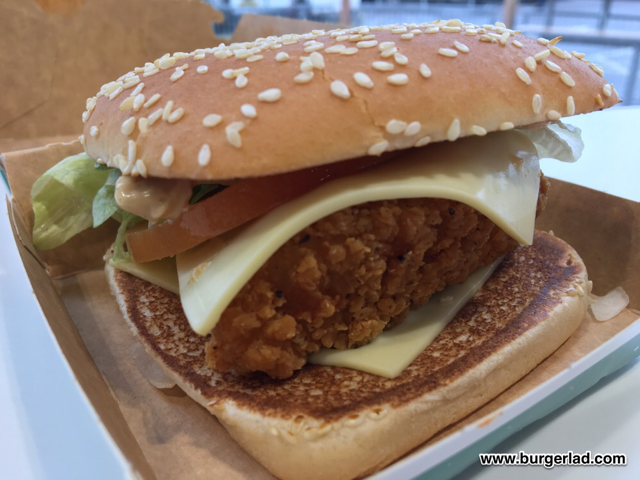 Overall, the Chicken Big Tasty is an expected disappointment masquerading as a burger. 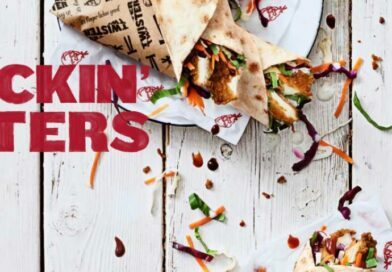 The Chicken Selects do not work on the build and this resulted in a sloppy, lopsided mess with many bites just of bread, sauce and salad. 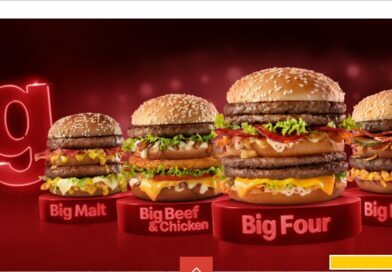 I’m assuming if McD’s UK ever did do a Chicken Big Mac then this would use four Chicken Selects…!? 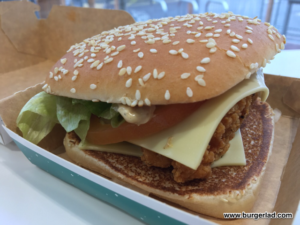 I walked away from McDonald’s feeling hungry (Cheese Melt Dippers were unavailable) and sad, as I was now over four pounds lighter in my wallet – alright I paid on the app but in the proverbial sense. Next time I pop for lunch I will be certain to have a £1.99 Big Mac and Fries plus the Wrap of the Day for an additional £1.99 – a damn sight better option than the chore I put myself through today. 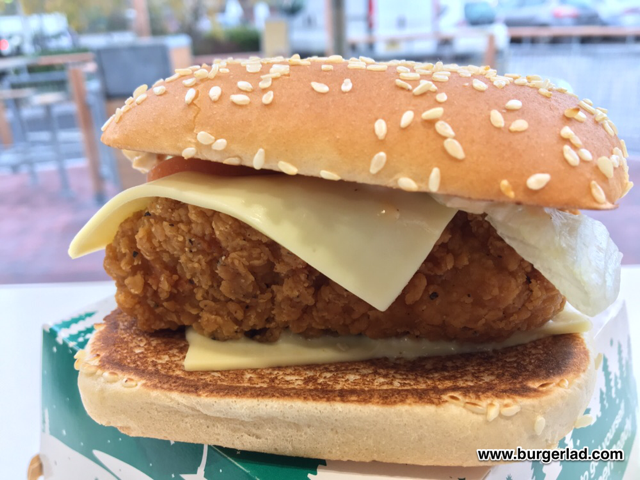 Thankfully the Chicken Big Tasty is not for life and is just for Christmas… although that is actually extended until Tuesday 29th January 2019 to see us through the bleakest of months. Joy. P.S. 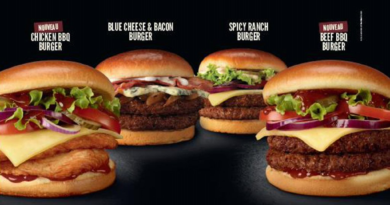 You can add bacon via the MyMcDonald’s app.